Ashley Bright recently became aware of Ben’s website through Twitter, and wanted to not only share a photo, but finally get the chance to thank Ben! 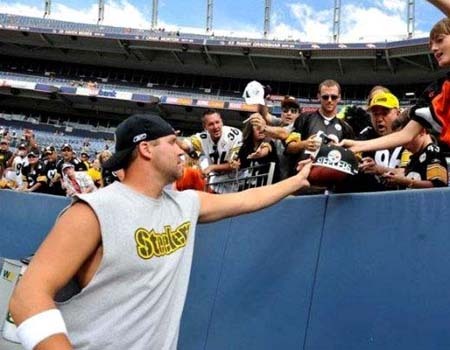 @_BigBen7 – Chance to say Thank You!! For a lifetime moment for an 8 year old boy! 2010 in Denver, Co.! Thank You!! My son’s name is Caden Hines Bright (notice the middle name) – He was 8 years old at the time! It was a pre-season game in Denver, Colorado in August of 2010! Ben was warming up about 20-yards away. After the warm-up, he ran right towards us! I am the man that is going crazy with excitement because he came right up to my son (in the yellow cap)! The pictures were from the Denver Post as they covered the whole thing! That’s why they are so good! We are lifetime Steelers fans that live in Wyoming! We have the football in a plastic case in Caden’s room! 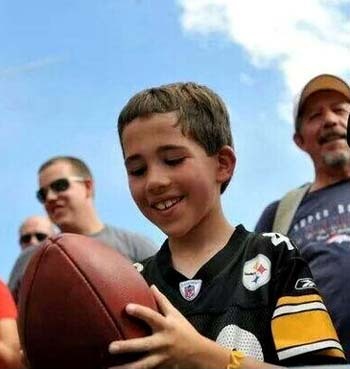 He was the most popular person that day among all the Steelers fans!! It was his first NFL game, albeit a preseason game!! On the day Mr. Bright emailed, he and his family were anxiously awaiting the arrival of a little orphaned boy with special needs from China! 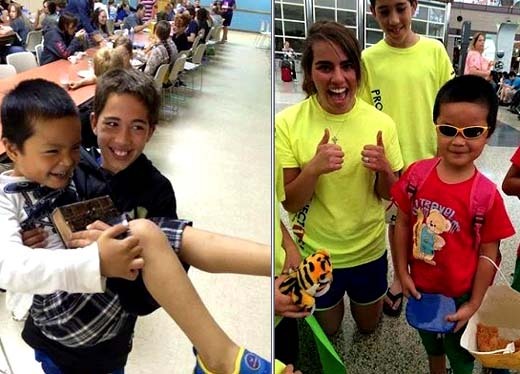 They were offering their home and their love to this youngster through an organization called Project 143. He sent photos when Le arrived! Thank you to the Bright family for not only sharing their photos and story from 2010, but also the photo of the newest member of their family as well as the Steelers family!